I was utterly surprised to get a surprise box of Baylis and Harding goodies this week, as you all know I’m a huge fan. I love the hand washes and bath/shower cremes and they are always in my bathroom. So a huge thank you to Baylis and Harding for cheering me up this week. Not only are they beautifully presented in packing, tins, baskets and tubs. The designs on the products always give that luxury vibe. Always so pretty. 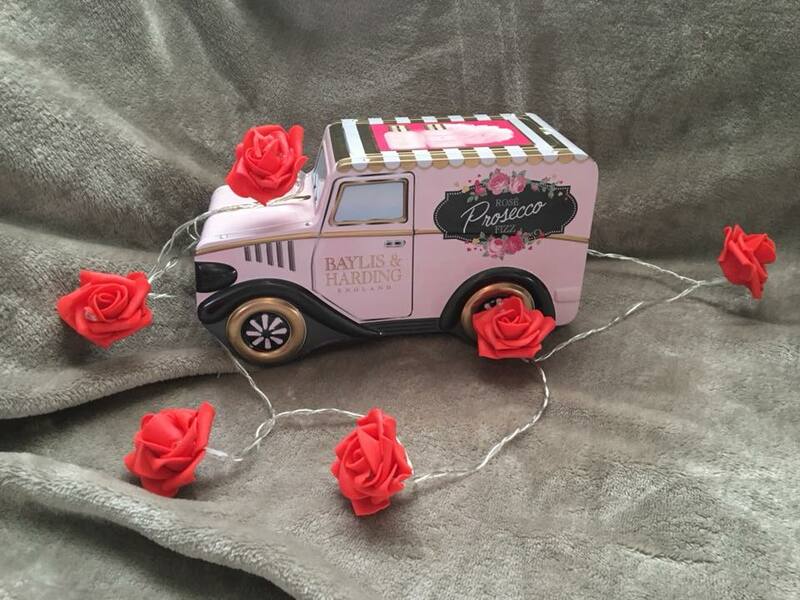 This year Rose Prosecco Fizz is the limited edition scent for their Valentines Collection and it smells gorgeous. I’m not normally a huge rose scent fan, but this mixed with the prosecco does scent really nice and fresh. So the first set has some super soft pink socks and some foot lotion for a foot pamper treat. The next set is my favourite a little pink van tin, which contains. 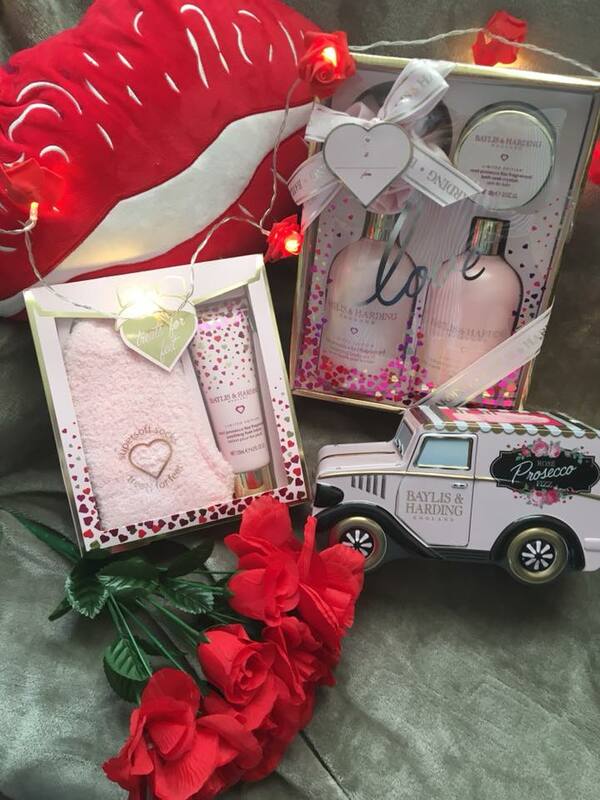 Body wash, hand and body lotion and a pink body sponge/puff. I think the tin is a great reusable item which you can store bath bits in to keep them nice and fresh. The last set has two of the 500ml bottles in and they are huge. 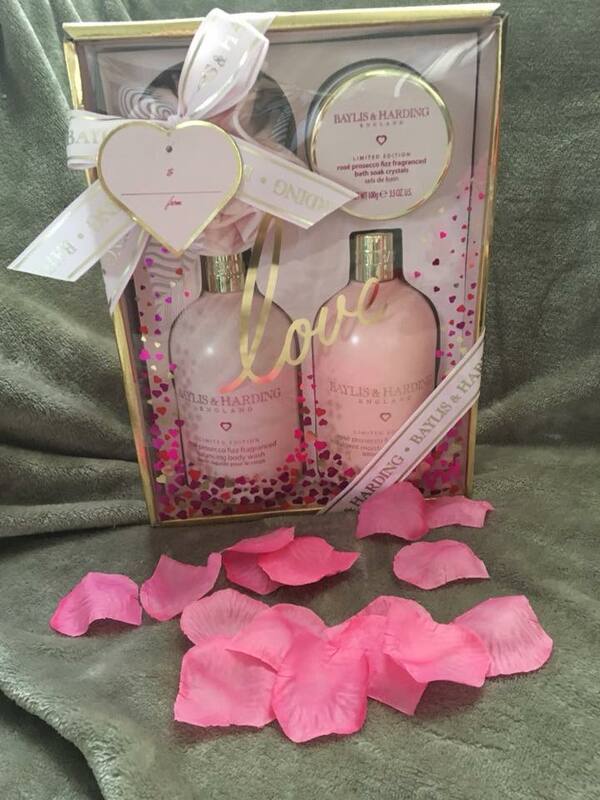 The body wash and body lotion will last you a long time. Included is some bath soak crystals, which make a change from a bath bomb or bubble bath. Prices start from £8, as usual affordable luxury to suit everyone’s budget.